If you are thinking of exploring wormholes there are a few things you must get right first to minimise any chance of becoming trapped or killed. Before reading this guide you should already know how to use scan probes and your on-board scanner to locate the 'door' (wormhole) into w-space. You can review this video guide by clicking this link: Apocrypha Scanning Tutorial. Do not take your best clone. Wormhole space is lawless, even more so than 0.0. No-one owns this space and to make matters worse there is no criminal flagging. Any hostile activity committed there is not reprimanded. So take an expendable clone and be prepared to lose it. Try to use a ship which requires no ammunition or take plenty of it. Bear in mind that you may want to salvage and/or loot when you get there so on-board cargo space will be at a premium. Most Amarr faction and some Gallente ships are best suited to explore this space as they require no ammunition at all and can run indefinitely. You will need a scan probe launcher with plenty of probes; 10 at least. This is the most important part of your fitting, if you have no scanning capability then you may become trapped inside the wormhole. The Sleepers, the enemy NPCs found in wormhole space, attack your tanks lowest resistance. If you're shield tanking, an omni passive tank is your best choice if you can achieve around 1k DPS resistance this way. The sleepers like to Energy Drain(NOS) extensively so your capacitor may become drained very quickly so active tanks will be harder to manage effectively, but they too should be considered, but you'd be on a time limit depending on energy(cap booster/remote rep) supplies. If you are armour tanking then make sure you have enough of an armour buffer to absorb the attacks if your capacitor is battered too low and you need to escape. Again, an omni tank is your best choice, get your resists as high as possible using passive armour modules. This will help preserve your capacitor should you need to warp out. I also recommend an After-Burner(AB). They are very useful if you need speed and distance to get out of disruptor range as some Sleepers will Disrupt and Webify you. If Disrupted by more than a single enemy ship and you don't have WCS fitted, primary the Webifiers and destroy them quickly, then AB out of Disruptor range(20km) and warp to a safe-spot if needed. Remember speed is life, as the Sleepers tracking is not great so orbit close and they will miss you enough, enabling you to tank them more effectively. I wouldn't recommend an exclusive speed tank, if you want to speed tank then fit a modest shield or armour tank at least, just in case you get Webified. Always fit a Damage Control(DC) unit. This works with your AB by allowing you enough of a hull buffer to escape Disruptor range should your tank fail. If your tank fails in wormhole space it does so spectacularly. You may or may not want to bring a cloak. Again this depends on your intentions. Fitting both a cloak and WCS will seriously compromise your ability to target quickly so decide early on what your mission is and stick to it. You can always come back again fitted differently. Use of a Covert Opeartiuons cruiser or battleship removes the damage to the sensors, but these are expensive, bear that in mind. Work together and assist fleet members with Armour, Shields or Capacitor. Make sure you bring either Maintenance Bots or Transfer Arrays to achieve a spider tank. Gas clouds and most of the rarer asteroids can be found within these virginal 'unkown' systems so you may want to bring Mining Lasers, Mining Drones and/or Gas Cloud Harvesters. Keep close to protect your mining drones as enemy spawns are likely. 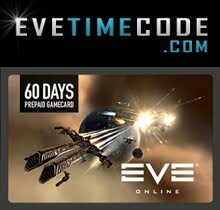 Bring a Covert Operations frigate to aid with the exploration and exploitation of this new frontier. This may not always be possible, but it should be first choice for any fleet. If you don't have this option then you will need your own scan probe launcher. This cannot be stressed enough. You will need scan probes to return to normal space if the wormhole collapses. And there is little indication as to when that could be, only a vague warning from the infromation gathered from the wormholes icon. If you don't bring any probes then you could end up becoming trapped indefinitely. It is useful to know exactly what to expect within the unknown space as you enter. 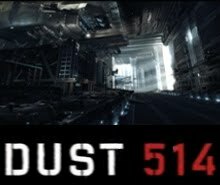 Using the locust signature code; found as the name of the system in the top left corner of the main view screen, it is possible to recon the space upon entering. Follow this link for the Wormhole Database and enter the code to discover what lies within. Upon entering wormhole space immediately bookmark the wormhole, then set about marking a few bookmarks as safe spots. Try to make at least 3. Scan the system for other ships as soon as you can. Then scan the system regularly, ideally at 60 second intervals. A Probe scan is also necessary to locate possible exploration sites and a scan using combat scanner probes is also useful - it is possible to field both types of probes in space at the same time. It's important to note that even if you do not read any other ships in the system, this does not mean that it is empty. Cloaked ships will not show on your scans so always be vigilant and ready to take the appropriate action if required. Try to remain aligned at 75% thrust to a safe spot (make an emergency safespot as close to the central star as possible - giving a point-of-reference to align to quickly) and never leave your ship unattended, unless you have a cloak fitted, and even then it isn't condoned. If a POS tower is picked up on your scans it may be better abandoning the wormhole altogether as there are plenty of corporations whom make their homes in w-space and will attack to protect themselves and their installed assets. The sleepers will attack you in force and will Webify, Disrupt and NOS you so be prepared to become locked down. In addition to this they posses smart AI, priority target acquisition. This means that, unlike during missions or when ratting, they will change their primary targets depending on certain threat factors. 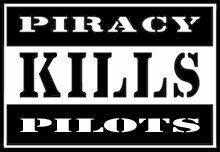 No-one is safe while engaging them so all ships and pilots should be prepared to assist each other. Stick together and use spider tanking to aid fleet members when required. Battleship sized targets should be engaged at close range, this will be under their weapons optimal and will help tank the spawns. In addition, if the DED has turrets, such as found in missions or guarding stations and jumpgates you must destroy them first as the Damage Per Second (DPS) output is large enough to obliterate targets smaller than a cruiser and will seriously dent the tank on most ships. De-clutter your overview so you can identify hostiles quicker and keep aligned and moving as much as possible.Leave all but one enemy ship alive and clear the area of wrecks, loot and salvage before destroying the final target. Upon destruction of the final target, a re-spawn is likely so clear the battlefield of valuables before moving onto the next spawn. Before warping to the wormhole scan ahead and take the appropriate action depending on what you find there. It's difficult to judge other ships intentions, but under no circumstances talk in the local channel as this will give you away to anyone else present and may invite hostiles to your position. 1. Suicide. You should be prepared for this eventuality. It's important to weigh up your options first as this should be treated as a last resort. Without any loot or salvage the mission is a failure as the Sleepers do not provide bounties. 2. Ask for help in local. This is not recommended as more than likely, as there is no criminal flagging, you will become the victim of opportunists and may be killed anyway. You can ask for help from fellow Corporation members, but the likely hood of them being able to find you are nigh on impossible. 3. Scan down a new wormhole exit. Persistence is the key here. Keep scanning and your fingers crossed. If you find another wormhole, check where it goes first using the Wormhole Database. 4. If you have no scan probes, see options 1 and 2. Whilst sitting within my cloaked Recon watching the endless rolling of several asteroids accross the sky and trying to hunt Cosmic Anomolies without much luck, the local beacon sprung into life after a period of silence that seemed to last for a lifetime. It jarred my senses and forced me from my lazy thoughtlessness causing my ships systems to hum and whistle into life again. It was receiving a garbled and pannicked voice urgently requesting assistance. Unknown Pilot> Help! Can anyone help me? I am being attacked by rogue drones! My location is the asteroid field nearest the fifth moon of the second planet. The local beacon was not reporting any Corporation groups within the system but one still needs to be careful, intelligence is one of the greatest assets you can gain within New Eden, and I was collating. Narrowing my scan to the coordinates specified by the message I found a large ORE mining ship called a Hulk in a local asteroid belt, and another ship, a Vexor one belt above his position. The Vexor appeared to be responding to this fellows request for assistance, but intentions in low security space are never clear. Salivating over a quick kill I ushered my Force Recon into warp and navigated to a safe position within the belt to observe. Upon my arrival, the Hulk was indeed under attack from three Sansha frigate spawns and a cruiser. My trusty Recon coasted to a stop 20 kilometres below the plane of the asteroid field, safely away from the decloakiing boulders. There I sat in silence, watching, waiting. Moments later the Vexor warped onto the grid and immediately set a trajectory to intercept the grand mining ship. With the Vexors' targeting of the Hulk, his intentions bacame clear. A cloud of attack drones burst from the Vexor and proceeded to eat into the shields of the mining vessel. Upon aggression, the Hulk released its own army of attack drones and retaliated. With both pilots engaged and distracted, I crept into range, uncloaked my Force Recon cruiser and locked down the Vexor, launching my own fleet of deadly specialised attack drones. Applying my Warp Disruptor on the Vexor combined with twin Stasis Webification(WEB), he was quickly subdued and taken into his ships armour layer. With the Vexors' armour repairer online I applied an Energy Disruptor to ruin his capacitor. Within seconds his armour had failed under the barrage of both my Recons drones and the Hulks as they punched huge holes into his helpless cruiser and caused plombs of fire and debris to spew from within. A little late he realised what was going on and redirected his drones towards my ship, but a few moments later the Vexor exploded with a flash of blue gas and engine plasma. Pieces of his ship struck my shields and span out into the asteroid field. Quickly finding his emergency POD entwined within the wreck of his ship I scrambled his warp field and opened up a communications channel. Vexor Pilot> 20 million? I dont' have that much isk, and that was my only ship. Vexor Pilot> Okay, hold on. I may have something. Vexor Pilot> Please, give me a moment, I beg of you? Begging is one of those things men do that I cannot condone. 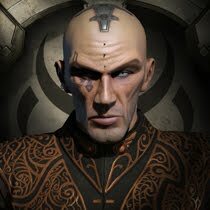 This Gallente was going to die in the name of Amarr along with his pathetic crew before him. Mr NOXx> You have had 30...time is up. Farewell. I ordered a single attack drone upon his defenceless POD. Vexor Pilot> Wait! Please! Stop! The hostile drone chewed through the delicate skin of his POD slowly as he continued to beg for his life. Then, I heard again that familiar sound of a mortal body exploding into the frozen void as his POD finally decompressed and his frozen corpse joined his charred crew members entwined amongst his wrecked hull. Time to get going then I thought, scooping up the pilots' biomass to keep as a trophy. Perhaps one more kill before I head back, lets see if I can find that Hulk. My Force Recon ship followed my minds desire precisely as she slowly dissolved back into the darkness surrounding her golden hull and vanished. Another visual chronical from our Caldari friend Dire Lauthris, this time depicting Caldari-Gallente war, based on the Chronicle The Breakout. Set 200 years ago before the Jovians supplied the POD technology so widely used today. 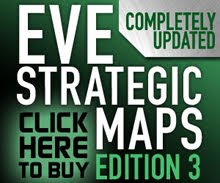 The author used the same video tools CCP uses for their videos. Awesome work. This video was created by Dire Lauthris, an EvE Online Caldari player. It depicts the enslaving of the Minmatar race by the Amarr Empire. I love this video. 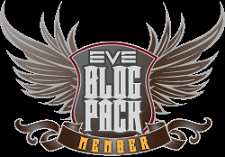 For me it captures the essence of EvE Online. 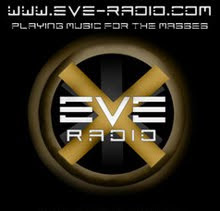 I always play it for people when they want to know what EvE Online is all about. They certainly get the idea that it is a massive game. 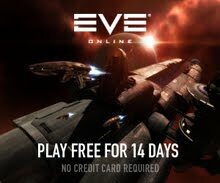 Mission: To explore wormhole space for 10 days and return. Debriefing: B13 and I managed to stay in wormhole space for 10 days. I can't say it was easy or even packed with excitement, but we did get our share of loot and got the odd kill here n' there. A very kind pod pilot left his ship in one of the asteroidless belts, a Vagabond, at 200km from the beacon. Obviously a pirate preying on the weak and the foolish, so we took his ship. Checking his hold we found he was full of loot. He must've left his ship to scout, and was killed by another pirate in the system. Or it was a trap, but we waited, cloaked for 10 minutes at the location to see if he'd return, but he didn't. In addition to this and as expected we found loads of wrecks, both Sleepers and Pod pilots alike. It seems that wormhole space is crammed with eager pilots seeking adventure. Many succumbed to the firepower and/or the AI of the Sleepers and became smouldering wrecks. Not that we minded. They were salvaged and looted and added to our haul. Supplies were a problem, as was cargo space. We had lost some of our drones, foolish I know, so we sent for an ally to bring us some more. It took 4 hours until we found an exit wormhole and set a destination for our back-up Hauler. The destination system was only 4 jumps from our original insertion point which made the whole process easier. With an exit secured it was an opportunity to drop off our loot but we had to work fast, fearing other pilots scanning down our wormhole and looting our spoils. We quickly decided that the Hauler should fly into the wormhole and join us there to collect the spoils, instead of us exiting to drop them off. It was the right decision as we witnessed several other Battleships converging on the wormhole within minutes. Eventually time was up. The 10 days were over and we had to leave, and our exit was found to be only 6 jumps from where we originally entered. This was a little dissappointing as we expected to travel further but this may have been a fluke, only repeated testing will confirm or deny that. We've estimated that the value of all the loot, the bounties from pod kills and the ships we destroyed came to a comfortable 110 million isk between us. We are still sifting through it all, but it was a very good haul. Not great for 10 days work but it was a unique experience, one which was more valuable as intel. We've decided to sit on all the Sleeper salvage until the prices become more realistic. The rarest items have been submitted to our Corporations Research and Development division to see if they can reverse engineer any of the parts. For now we plan to remain here in Empire. To collate what we have learnt and put together a bigger fleet. I figure that with a larger group we can accomplish more, but may attract more attention. As a 2 man gank squad, not once did we get scanned down by a hostile fleet, but with a bigger team who knows. There is something else too, a new problem and feelings of descent within our Corporation. It has been decided that this new realm requires a new approach. Many in our Corporation are hungry for the lawless 'unknown' and its opportunities, but a mandate is in place which forbids any acts of aggression towards Neutrals. Despite the lack of criminal flagging, our CEO does not want reprisals against the Corporation because of our actions. This leaves me in a difficult position and a decision has to be made about what my future holds within the Corporation. I think the darkness in me is returning. After almost a year of running missions for the Sarum family to see my security slowly climb from -9.96 to a despicable -1.6, I feel the need to wreck my progress with a few acts of piracy once more. Wormhole space provides my ego with this satisfaction, but if it is outlawed within my Corporation surely I cannot remain within the ranks. It seems that what I need to do and what I want to do are rarely the same.